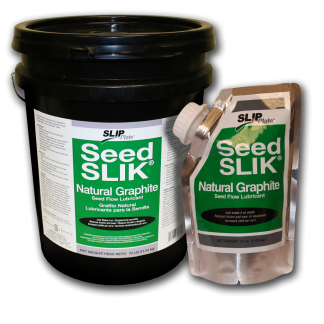 A unique formulation combining a special solvent cleaner with a friction reducing mineral that first cleans the surface, and then deposits a layer of pure, lubricous graphite powder. 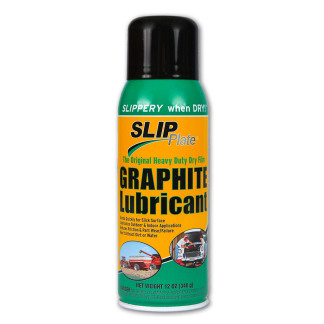 Works great on mechanical components requiring dry lubrication. 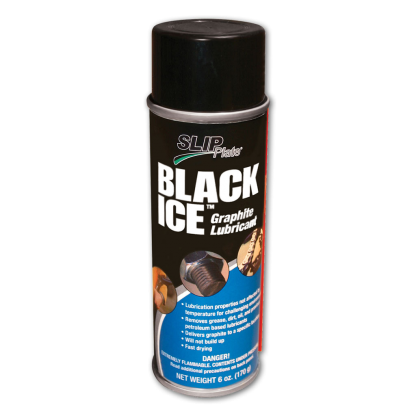 Unlike competitive products available on the market which leave a wet, sticky film that will attract dirt and grime and are affected by temperature, Black Ice™ has been engineered to deliver graphite powder where it is specifically needed. Thoroughly mix and agitate can prior to use: It is important the can be properly agitated for 1-2 minutes with the mixing balls inside rattling. This makes sure the optimal coating is produced when sprayed. Insert attached spraying stray to nozzle prior to use. Attach the straw to the nozzle to allow for directed, powerful spraying to the desired location. 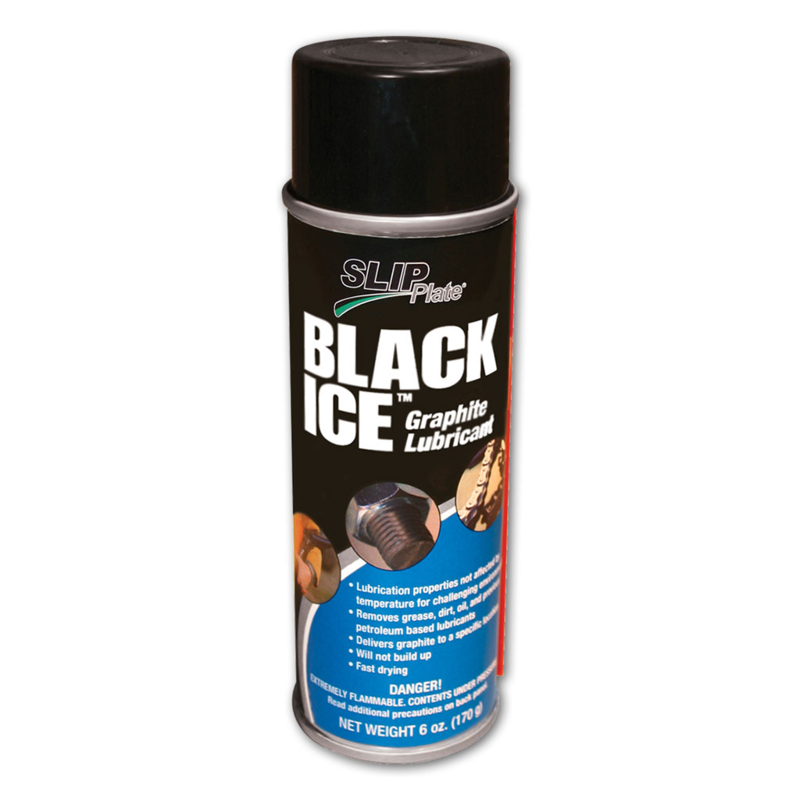 This allows graphite to be placed right where it is needed. Prepare your surface. Remove any loose debris, mud, loose paint, rust or grit as best as possible with compressed air or small brush. Keep away from open flames, sparks. When applying, make sure that it is in a well-ventilated area, away from open flames, sparks and other sources of ignition. When finished, turn can upside down and spray for a few seconds. This will clean out the straw and nozzle to prevent clogging. Application of this product to very hot (>200°F/93°C) or cold surfaces (<32°F/0°C) is not recommended, as this can affect the bonding performance of the product as it dries. When dry, the dry film coating will not be affected by temperature extremes. Keep away from open flames, sparks. Apply and use only in a well-ventilated area. This product has a very low flash point and will ignite at higher temperatures, keep away from open flames or other sources of ignition when in use or being stored. Wipe over sprayed surfaces with rag. If over spray of the material occurs, wipe excess coating with a rag or similar material. A small amount of pain thinner or VM&P Naphtha on the material will make the process easier. 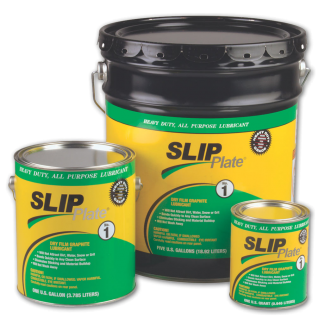 Be aware that some solvents may cause damage to other coatings and paints. Do not use on aluminum weapon firing mechanisms and components. 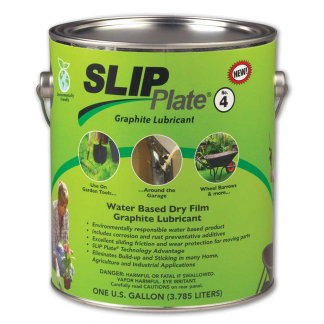 Coated surfaces should be allowed to dry completely prior to use. Bonding agents and graphite will begin to oxidize at temperatures above 450°F (232°C), and this coating is not recommended for high temperature applications.